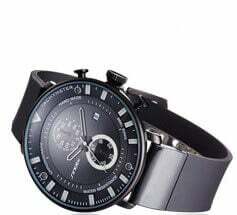 - Crafted from 100% Genuine Leather making each band both comfortable as well as secure around the wrist. 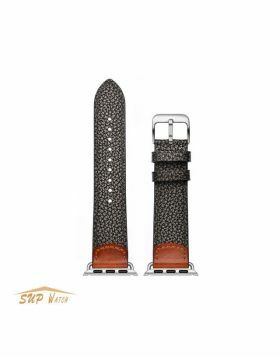 - The finest craftsmanship and relentless attention to detail makes our Luxury Leather Apple Watch Bands, the top-of-the-line accessory to elevate your look and feel. 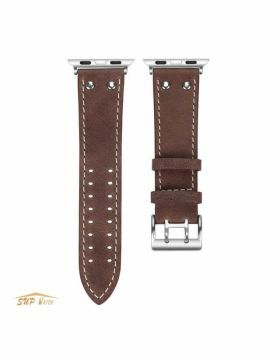 - These leather watch bands are suitable for Apple Watch, Watch Sport and Watch Edition, compatible with both Apple Watch Series 4, Series 3, Series 2 & Series1. Question:are the adapters pc or stainlee or something else? Does this work with the Hemes edition? 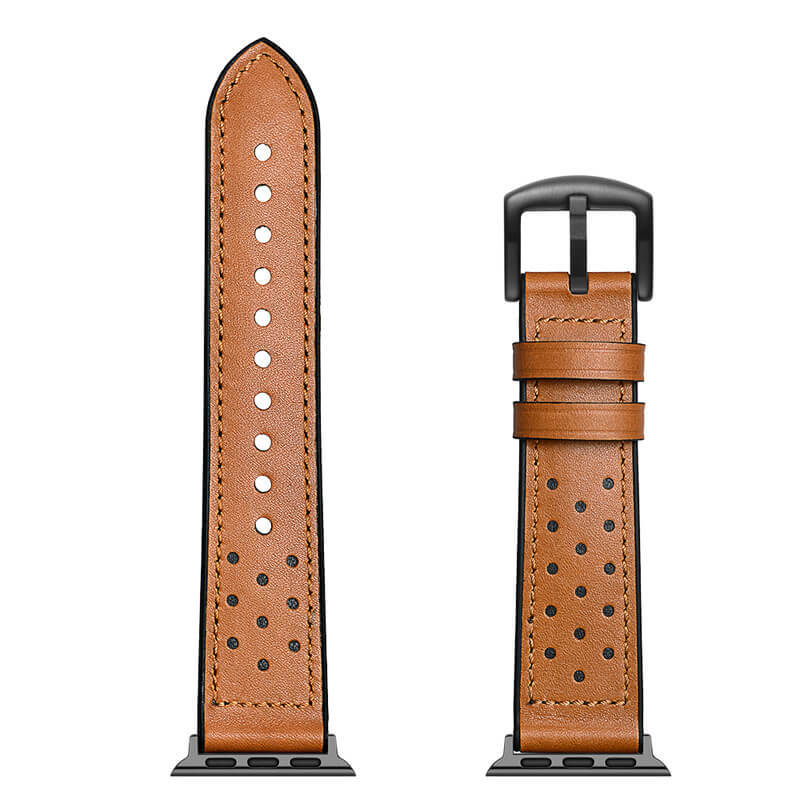 Answer: The adapter of classic leather apple watch band was stainless steel, it would never easy to rust. And it fit for Hemes edition and apple watch 1/2/3/4 series as well. Question: Is the band made from real leather or is it a PU? 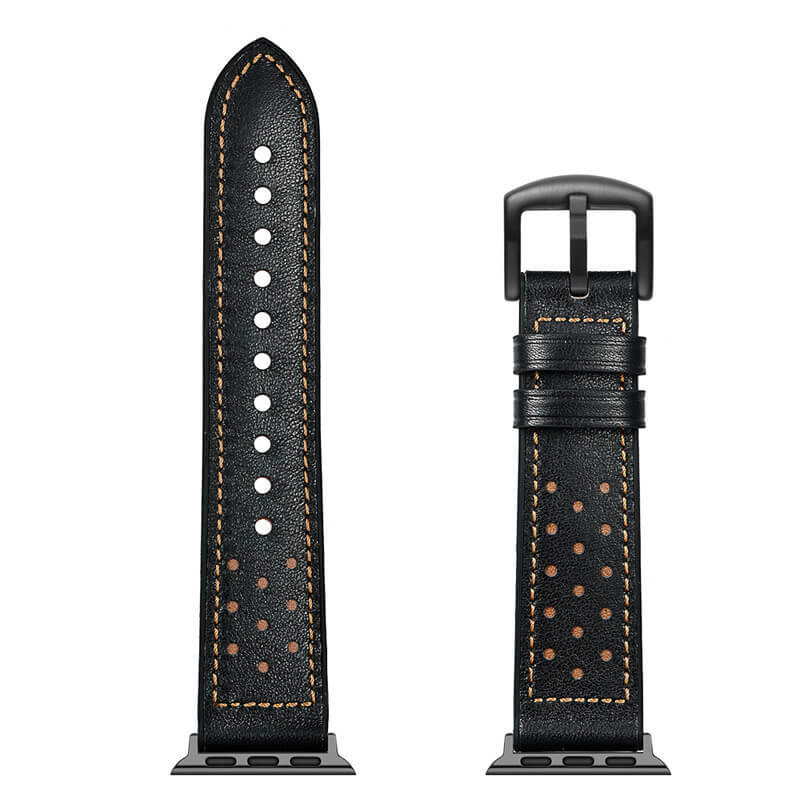 Answer: Made from 100% calfskin, this strap is comfortable to wear! Question: Is this easy to install or remove? Answer:YES! Just gently slide them into the watch slots.